The process for toasting nuts is simple. Spread the nuts in a single layer on a sheet pan and bake in a 350 oven for 10 minutes. I find that it is extremely important to set a timer as it is so easy to forget about the nuts in the oven! Left too long in the oven will, of course, cause them to burn and then they will be ruined. So sad. This process works for nuts like pecans, walnuts, almonds, hazelnuts, etc. For small nuts, such as pine nuts, I use a small frying pan over simmer, shaking the pan constantly for about 5 minutes until golden. Now, look at the pictures above. The top picture is before they have been toasted. 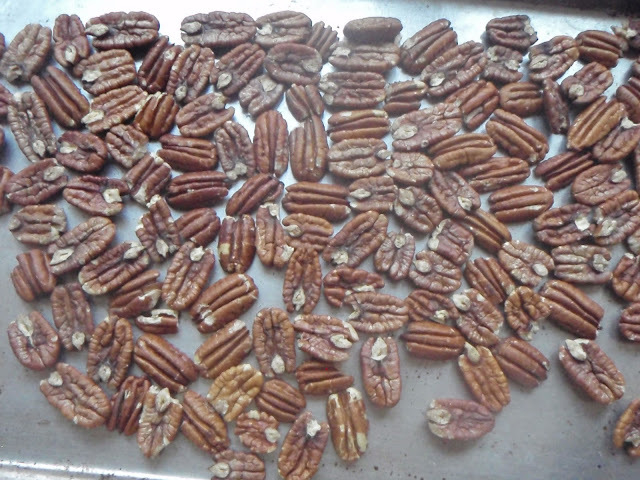 See how the pecans are lighter in color? It is very important to taste the nuts before you put them into the oven. Make sure they are fresh. 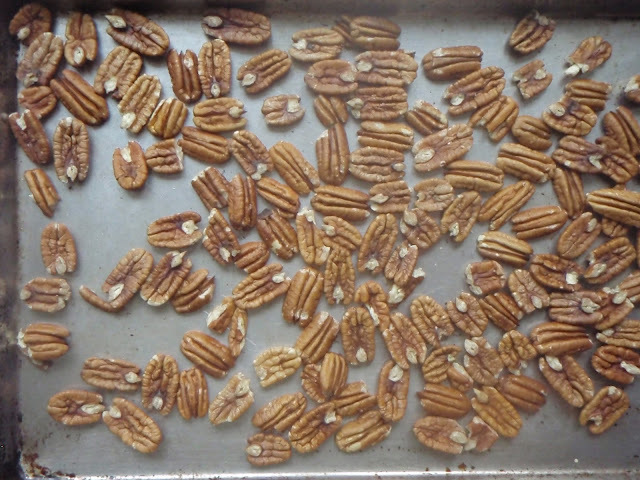 The second picture is of the pecans right after they have come out of the oven. 10 minutes in 350 degree oven and they are a darker brown. Now, again, taste (well, let them cool for a minute so you don't burn your tongue). They should have a more complex, richer flavor. I store toasted nuts in a freezer proof, zip-loc type bag, in the freezer. Straight from the freezer they are fresh and ready to toss into a salad whenever I need them. 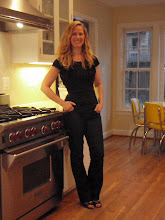 I learned this storage trick from my friend Julia!